The two new Samsung wearable gadgets Gear Sport and Gear Fit2 Pro are now landed in Indian market. It has released in special event held by Samsung Spokespersons in Gurugram. The official date for sale is first week of December and customers can pre-orders it from official website. The first in lineup, Samsung Gear Sport was announced at IFA event back in August and available to purchase in many countries. In India price for Gear Sport is fixed at Rs. 22,590. The other fitness gadget Gear Fit2 Pro was announced along with Galaxy Note 8 smartphone and it priced at Rs. 13,590 in country. For the more information Samsung Gear Sport carry popularity of Gear S3 & Gear S2 smartwatches. This one is next lineup gadget in Gear series, built with premium quality material. It has 1.2-inch 360×360 display and has 4GB internal storage as well as 768MB RAM. It runs on Tizen 3.0 software with built-in sensors. It comes with 1GHz dual-core processor and 200 mAh battery with wireless charging dock. The other Gear Fit2 Pro comes with 1.5-inch curved Super AMOLED display. It comes with fitness tracking software features like barometer, calorie counter, heart beat monitor, water resistance for up to 50 meters, GPS & fitness motivation. The main features are 1GHz processor, 4GB internal storage and 512MB RAM, slightly lower than Gear Sport. Unfortunately, it doesn’t come with wireless charging facility. Both devices will go on sale in December and comes with Black & Red color options. 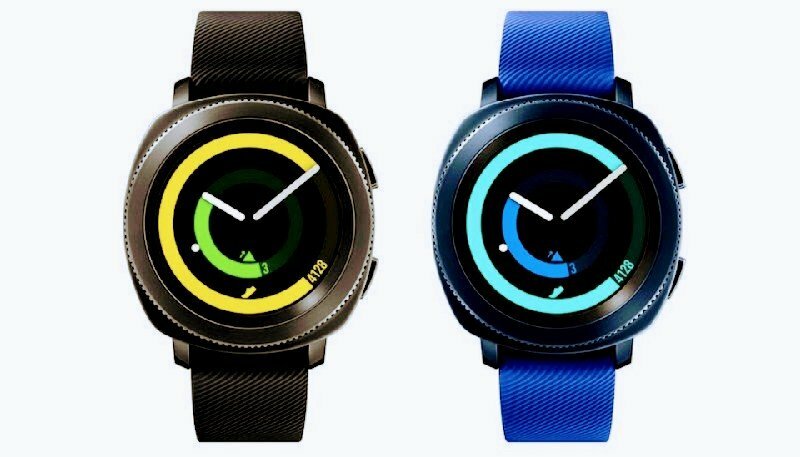 As I mentioned Samsung Gear Sport will goes on sale for Rs. 22990 and Gear Fit2 Pro will be available for Rs. 13590. There is no news about exactly when it will be available in the market. It might be available from online retailers as well selected Samsung stores in major cities.